Anonymous. WikiLeaks. The Syrian Electronic Army. Edward Snowden. Bitcoin. The Arab Spring. Digital communication technologies have thrust the calculus of global political power into a period of unprecedented complexity. In every aspect of international affairs, digitally enabled actors are changing the way the world works and disrupting the institutions that once held a monopoly on power. No area is immune: humanitarianism, war, diplomacy, finance, activism, or journalism. In each, the government departments, international organizations and corporations who for a century were in charge, are being challenged by a new breed of international actor. Online, networked and decentralized, these new actors are innovating, for both good and ill, in the austere world of foreign policy. They are representative of a wide range of 21st century global actors and a new form of 21st century power: disruptive power. 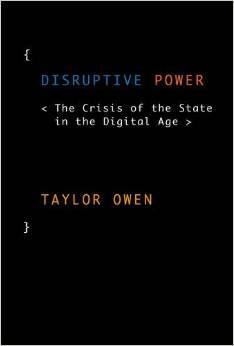 In Disruptive Power, Taylor Owen provides a sweeping look at the way that digital technologies are shaking up the workings of the institutions that have traditionally controlled international affairs. The nation state system and the subsequent multinational system were founded on and have long functioned through a concentration of power in the state. Owen looks at the tools that a wide range of new actors are using to increasingly control international affairs, and how their rise changes the way we understand and act in the world. He considers the bar for success in international digital action and the negative consequences of a radically decentralized international system. What new institutions will be needed to moderate the new power structures and ensure accountability? And how can governments and corporations act to promote positive behavior in a world of disruptive innovation? Owen takes on these questions and more in this probing and sober look at the frontier of international affairs, in a world enabled by information technology and increasingly led by disruptive innovators. With cutting edge analysis of the fast-changing relationship between the declining state and increasingly powerful non-state actors, Disruptive Power is the essential road map for navigating a networked world. Losing Control outlines how in a wide range of international areas of influence, the state is being challenged by new, digitally enabled actors. Grounded in the theory of disruption, this chapter explores the rise and power of the activist collective Anonymous, the paradox of dual use surveillance technologies, and the recent revelation on the extent of NSA surveillance. The chapter serves as an introduction to the book. Disruptive Power traces the development of the modern state and drawing on disruption theory, explores how the introduction of digital technology presents a crisis to state power. The state began as a mechanism for centralizing and exercising power and over time became hierarchical, bureaucratic, and, in democratic states, accountable to the rule of law. In a networked world, however, groups like Anonymous wield power by being decentralized, collaborative, and resilient. These two models of power are fundamentally at odds and the resulting disruptive power threatens the institutions that have preserved the balance of power since the end of World War II. Spaces of Dissent explores the rapidly evolving space of digital activism, or hacktivism, through the example of a group of hackers called Telecomix, who served as a form of tech support for the Arab Spring. Such cyber activists have taken on a role of social and cultural provocateurs; they are dissenting actors in a culture that is increasingly hostile to protest. What’s more, they see, observe, and quickly react in ways that boggle the state and corporations – all of this instrumentalized by digital technology. This argument is grounded in an exploration of hactivism as a form of civil disobedience, though one that looks markedly different, and is potential more powerful, than the placards and megaphones of old. The chapter details how the state has responded to the perceived threat of online civil disobedience through its prosecutions against Chelsea Manning and Anonymous, and argues that their excessiveness stems form a paranoia over losing control. Finally, it explores the costs to society when we eliminate social deviancy. New Money details how the rise of crypto-currencies such as Bitcoin represent a threat to the power the state derives from the control of currency. This chapter first outlines the history of the close connection between the control of currency and state power. It then details the rise of crypto-currencies, explain how they work, and their potential real-world benefits. Finally, it explores the potential challenge to state power posed by this decentralized and technologically enabled currency. I argue that if the use of Bitcoin were to proliferate, as it likely will, then the inability of the state to either collect revenue from, or regulate commercial activity, poses a threat to the control it currently holds over the international financial system. Being There considers the evolution of international reporting news by juxtaposing the death of seasoned war corresponded Marie Colvin during the bombing of Homs, Syria with the new digital tools Syrian citizens used to document and stream the war to the world in real time. In an age of live-streaming, citizen journalism, drone journalism and coming advances in virtual reality, do we even need foreign correspondents? What’s more, do these technological advances result in new forms of knowing and understanding international events, do they shift how we understand the traditional power of the media and their capability to control information, and are they ultimately affecting how we see, and act in, the world? Saving the Saviors looks at the impact of collaborative mapping and advances in satellite technology on humanitarian and development agencies. The world of aid, humanitarianism and development have long been dominated by state-based agencies and large international organizations. For nearly a century, organizations like the World Food Program, The Red Cross, USAID and Oxfam have attempted to lead a transfer of expertise and resources from the developed world to the developing world. But new models are emerging. In the first week following the 2010 Haiti earthquake 14,000 citizens used their cell phones to upload emergency information to a live online crisis map. How do we know if the information uploaded to a crisis map is real? How do we hold these projects to account, without the oversight that states and institutions once provided? Using examples of disruptive humanitarian actors and recent academic work assessing their impact, this chapter explores how aid and humanitarianism are being transformed from the ground up. Diplomacy Unbound explores the emerging practice of digital diplomacy. First, it outlines how we valued the efficacy and power of diplomacy before Twitter and Facebook and mesh networks by tracing the notion of diplomatic power. It then argues that we need to view digital diplomacy initiatives in two categories, those that simply expand the practice of public diplomacy into a new medium, and those that seek to fundamentally engage in the digital space, using the tools and capabilities outlined throughout this book. I argue that when the bounds of diplomacy are extended into influencing not just states, but also digital actors, then they overlap fundamentally with other foreign policy programs and objectives. And this invariably leads to conflicting methods and outcomes. The undue negative costs associated with coercive digital diplomacy demonstrate the weakness of the state in a major realm of its foreign policy. And if the state can’t be effectively diplomatic in the digital space, then what does this tell us about the contemporary relevance of diplomacy itself? The Violence of Algorithms looks at how advances in computational power and automation have produced military weapons and surveillance tools that blur the boundaries of the battlefield and the lines between domestic and international. While much of this book focuses on diminishing state power in the face of empowered actors, here I look at how the state is fighting back. What does it mean when the state extends the use of military technologies and tactics far beyond the battlefield? How should we view advances in automated warfare, and the power that these new technologies embed in complex and secretive algorithms? And for how long can we expect the state to have a monopoly on these news forms of pervasive violence? Put another way, where is the line between war and peacetime behaviour with the deployment of computation and surveillance based weaponry? The Crisis of the State outlines four challenges that together threaten the state’s traditional mechanisms of power and control, but that also might provide models for 20th century international institutions seeking to adapt— if they are structurally capable of transformation or meaningful reform. This crisis of the state has at least four key components: democratic legitimacy, reversing the surveillance state, algorithmic accountability, and internet governance. Solving any one of them, will not prove a panacea to this crisis, nor is this list exhaustive; there are many more innovations being developed and important questions being addressed. But luckily in each, there are individuals and groups experimenting on new models and proposing potential solutions. This is the new landscape in which the state must constructively engage. I am the Beaverbrook Chair in Media, Ethics and Communications and Associate Professor in the Max Bell School of Public Policy at McGill University. I was previously an Assistant Professor of Digital Media and Global Affairs at the University of British Columbia and the Research Director of Tow Center for Digital Journalism at the Columbia School of Journalism where I led a research program on digital technology and journalism. I am the author of Disruptive Power: The Crisis of the State in the Digital Age (Oxford University Press, 2015) and the co-editor of The World Won’t Wait: Why Canada Needs to Rethink its Foreign Policies (University of Toronto Press, 2015, with Roland Paris) and Journalism After Snowden: The Future of the Free Press in the Surveillance State (Columbia University Press, 2016, with Emily Bell). I am currently writing a book with Emily Bell on Silicon Valley, journalism and democracy, which is in contract with Yale University Press and will be published in 2019. I am working on a range of projects on the ethics, civic impact and governance of emerging technologies. 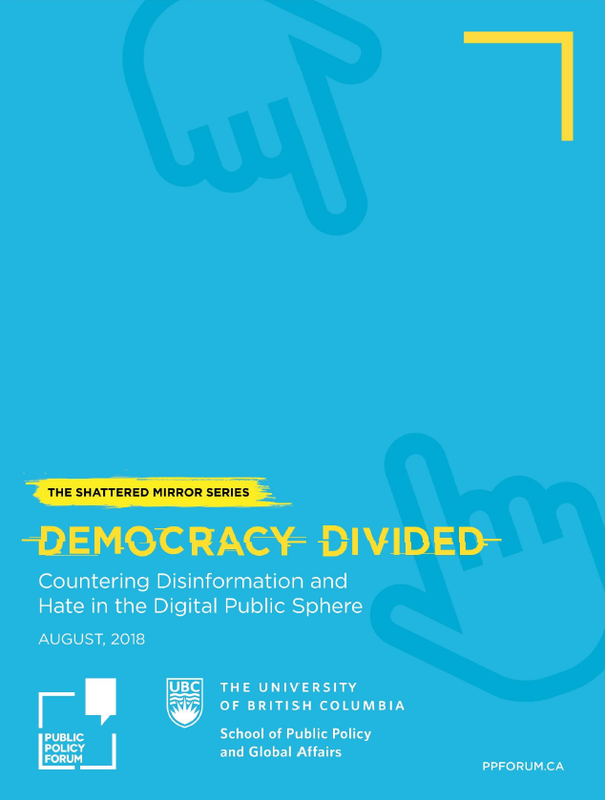 I c0-authored a report for the Public Policy Forum Democracy Divided: Countering Misinformation and Hate in the Digital Public Sphere. Recent opeds in the Global and Mail outline some of this work: Big Tech’s net loss, Ethics and governance are getting lost in the AI frenzy, ‘Fake news 2.0’: A threat to Canada’s democracy, Is Facebook a threat to democracy?, The era of Big Tech self-governance has come to an end; and, We can save democracy from destructive digital threats, and my Dalton Camp Lecture in Journalism details some of this work. I have recently published two reports on the state of journalism. The Platform Press: How Silicon Valley Re-engineered Journalism with Emily Bell, and Shattered Mirror: News, Democracy and Trust in the Information Age, on which I was a research principal. I founded an international affairs media platform called OpenCanada.org. This site is an experiment in building a community at the intersection of research, journalism and public policy. I am working on a range of projects to do with the ethics and potential journalistic utility of virtual and augmented reality. This has included a report, Virtual Reality Journalism, and a VR documentary for Frontline PBS, Ebola Outbreak: A Virtual Journey, which won a 2016 Peabody-Facebook Future of Media Award and was nominated for a 2016 Emmy Award. This essay in the Columbia Journalism Review, Can Journalism be Virtual? explores some of the wider implications of the technology. I serve on the Board of Directors of the Center for International Governance Innovation (CIGI) and on the Governing Council of the Social Sciences and Humanities Research Council (SSHRC). I am a Fellow at the Public Policy Forum where I work on the state of journalism and media policy in Canada. I received the 2016 PPF Emerging Policy Leader award. My PhD was on the concept of human security, exploring how mapping and spatially analyzing local vulnerability data can help us better understand the nature of extreme insecurity. My current personal research, however, now focuses on the intersection of digital media, technology and public policy. I use this site as a contact point and as an aggregator of my academic work and broader writing. 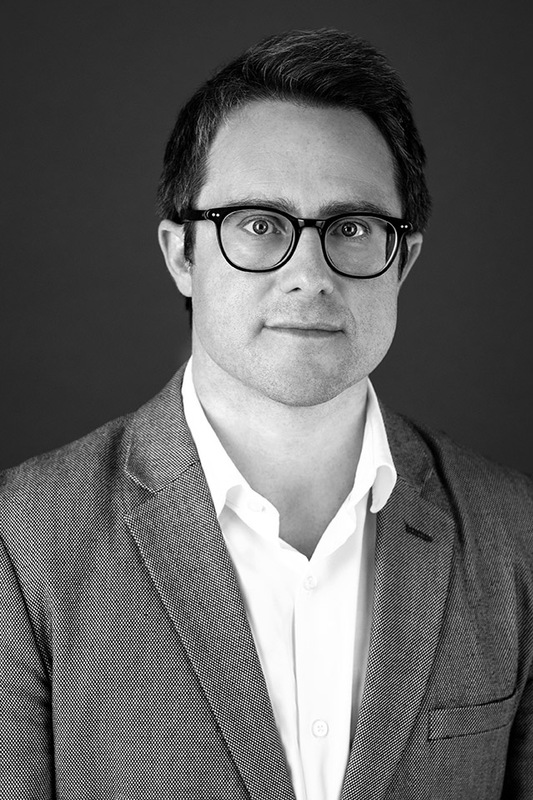 Taylor Owen is the Beaverbrook Chair in Media, Ethics and Communications and Associate Professor in the Max Bell School of Public Policy at McGill University. He was previously Assistant Professor of Digital Media and Global Affairs at the University of British Columbia, and the Research Director of the Tow Center for Digital Journalism at Columbia University where he led a program studying the impact of digital technology on the practice of journalism, and has held research positions at Yale University, The London School of Economics and The International Peace Research Institute. His Doctorate is from the University of Oxford and he has been a Trudeau and Banting scholar, an Action Canada and Public Policy Forum Fellow, the 2016 Public Policy Forum Emerging Leader, and sits on the Board of Directors of the Center for International Governance Innovation (CIGI) and on the Governing Council of the Social Sciences and Humanities Research Council (SSHRC). He is the founder of the international affairs media platform OpenCanada.org, and he is the author, most recently, of Disruptive Power: The Crisis of the State in the Digital Age (Oxford University Press, 2015) and the co-editor of The World Won’t Wait: Why Canada Needs to Rethink its Foreign Policies (University of Toronto Press, 2015, with Roland Paris), Journalism After Snowden: The Future of the Free Press in the Surveillance State (Columbia University Press, 2017, with Emily Bell) and The Platform Press: How Silicon Valley Re-enginnered Journalism (Tow Center 2017, with Emily Bell). His forthcoming book on Silicon Valley, journalism and democracy will be published by Yale University Press in early 2019. His work can be found at www.taylorowen.com and @taylor_owen. Warning: I have been largely defeated by email flow, so please feel free to send reminders and nudges when needed. Ebola Outbreak: A Virtual Journey, a Virtual Reality journalism project which won a Peabody Award and was nominated for an Emmy Award. The New Global Journalism: Foreign Correspondence in Transition. Tow Center for Digital Journalism Report. Progressivism’s End, In Obama, both Americans and Canadians can see the promise of something new, The Literary Review of Canada. 3D Vision: Can Canada reconcile its defence, diplomacy, and development objectives in Afghanistan? The Walrus Magazine. Let a commission, not broadcasters, call the shots, Globe and Mail. Operationalizing Human Security: From Local Vulnerability to International Policy, DPhil Thesis, The University of Oxford, July 2010. Belair-Gagnon, Valerie, Taylor Owen and Avery E. Holton. “Unmanned Aerial Vehicles and Journalistic Disruption: Perspectives of Early Professional Adopters.” Digital Journalism, vol. 5, no. 10, 2017, pp. 1-14, https://doi.org/10.1080/21670811.2017.1279019. Owen, Taylor. “The Networked State and the End of 20th Century Diplomacy.” Global Affairs, vol. 2, no. 3, 2016, pp. 301-307, https://doi.org/10.1080/23340460.2016.1239375. Burgess, J Peter, Taylor Owen and Uttam Kumar Sinha. “Human Securitization of Water? A Case Study of the Indus Water Basin.” Cambridge Review of International Affairs, vol. 29, no. 2, 2013, pp. 382-407, https://doi.org/10.1080/09557571.2013.799739. Martin, Mary, and Taylor Owen. “The Second Generation of Human Security: Lessons from the UN and EU Experience.” International Affairs, vol. 86, no. 1, 2010, pp. 211-224, https://doi.org/10.1111/j.1468-2346.2010.00876.x. Travers, Patrick, and Taylor Owen. “Between Metaphor and Strategy: Canada’s Integrated Approach to Peacebuilding in Afghanistan.” International Journal, vol. 63, no. 3, 2008, pp. 685-702, https://doi.org/10.1177/002070200806300316. Owen, Taylor. “The Critique that Doesn’t Bite: A Response to David Chandler’s ‘Human Security: The Dog That Didn’t Bark’.” Security Dialogue, vol. 39, no. 4, 2008, pp. 445-453, https://doi.org/10.1177/0967010608094038. Benini, Aldo, Taylor Owen and Håvard Rue. “A Semi-Parametric Spatial Regression Approach to Post-War Human Security: Cambodia 2002-2004.” Asian Journal of Criminology, vol. 3, no 2, 2008, pp.139-158, https://doi.org/10.1007/s11417-008-9056-1. Liotta, P.H., and Taylor Owen. “Why Human Security?” Whitehead Journal of Diplomacy and International Relations, vol. 7, no. 1, 2006, pp. 37-54, http://taylorowen.com/Articles/Owen%20and%20Liotta%20-%20Why%20Human%20Security.pdf. Liotta, P.H., and Taylor Owen. “Sense and Symbolism: Europe Takes On Human Security.” Parameters, vol. 36, no. 3, 2006, pp. 85-102, http://ssi.armywarcollege.edu/pubs/parameters/articles/06autumn/liotta.pdf. Gleditsch, Nils Petter, et al. “Conflicts over Shared Rivers: Resource Wars or Fuzzy Boundaries?” Political Geography, vol. 25. no. 4, 2006, pp. 361-382, https://doi.org/10.1016/j.polgeo.2006.02.004. Owen, Taylor. “A Response to Edward Newman: Conspicuously Absent? Why the Secretary-General Used Human Security in All but Name.” St Antony’s International Review, vol. 1, no. 2, 2005, pp. 37–42, http://www.jstor.org/stable/26227009. Owen, Taylor, and Olav Slaymaker. “Toward modeling regionally specific human security using GIS: case study Cambodia.” AMBIO: A Journal of the Human Environment, vol. 34, no.6, 2005, pp. 445-449, https://doi.org/10.1579/0044-7447-34.6.445. Owen, Taylor. “Human Security – Conflict, Critique and Consensus: Colloquium Remarks and a Proposal for a Threshold-Based Definition.” Security Dialogue, vol. 35, no. 3, 2004. Pp. 373-387, https://doi.org/10.1177/0967010604047555. Owen, Taylor. “Human Security: A New View of Cambodian Vulnerability.” Cambodia Development Review, vol. 7, no. 2, 2003, pp. 9-16, https://www.cdri.org.kh/publication-page-old/pub/cdr/2003/cdr03-2.pdf. Kiernan, Ben and Taylor Owen. “Iraq, Another Vietnam? Consider Cambodia.” The United States, Southeast Asia, and Historical Memory, edited by Mark Pavlick. Common Courage Press, Forthcoming, July 2018. Owen, Taylor. “Global Media Power.” The Sage Handbook of Digital Journalism, edited by Tamara Witschge, C.W. Anderson, David Domingo and Alfred Hermida, London, Sage Publications, 2016, pp. 25-35. Bell, Emily, Taylor Owen and Smitha Khorana. “Introduction.” Journalism After Snowden: The Future of the Free Press in the Surveillance State, edited by Emily Bell and Taylor Owen, with Smitha Khorana and Jennifer Henrichsen, Columbia University Press, 2016, pp. 1-18. Paris, Roland, and Taylor Owen. “Introduction: A Transforming World.” The World Won’t Wait: Why Canada Needs to Rethink Its International Policies, edited by Roland Paris and Taylor Owen, University of Toronto Press, 2016, pp. 3–19. Paris, Roland, and Taylor Owen, “Conclusion: Imagining a More Ambitious Canada.” The World Won’t Wait: Why Canada Needs to Rethink Its International Policies, edited by Roland Paris and Taylor Owen, University of Toronto Press, 2016, pp. 175–188. Martin, Mary, and Taylor Owen. “Introduction.” Routledge Handbook of Human Security, edited by Mary Martin and Taylor Owen, London, Routledge, 2014, pp. 1-15. Owen, Taylor. “Human Security Thresholds.” Routledge Handbook of Human Security, edited by Mary Martin and Taylor Owen, London; New York, Routledge, 2014, pp. 58-65. Owen, Taylor. “Human Security Mapping.” Routledge Handbook of Human Security, edited by Mary Martin and Taylor Owen, London; New York, Routledge, 2014, pp. 308-319. Martin, Mary, and Taylor Owen. “Conclusion.” Routledge Handbook of Human Security, edited by Mary Martin and Taylor Owen, London; New York, Routledge, 2014, pp. 331-335. Owen, Taylor. “Editor’s Introduction: Human Security.” Human Security, edited by Taylor Owen, London, Sage Publications, 2013, vol 1, pp. xxiii-xlix. Owen, Taylor, and Emily Paddon. “Whither Humanitarian Space? The Costs of Integrated Peacebuilding in Afghanistan.” Modern Warfare: Armed Groups, Private Militaries, Humanitarian Organizations, and the Law, edited by Benjamin Perrin, Vancouver, UBC Press, 2013, pp. 267-287. Eaves, David, and Taylor Owen. “Missing the Link: How the Internet is Saving Journalism.” The New Journalism: Roles, Skills, and Critical Thinking, edited by Paul Benedetti, Timothy Currie, and Kim Kierans, Toronto, Edmund Montgomery Press, 2010. Owen, Taylor. “In All but Name: The Uncertain Future of Human Security in the UN.” Rethinking Human Security, edited by Moufida Goucha and John Crowley, Oxford, Wiley-Blackwell Press, 2008, pp. 113-127. Owen, Taylor. “Critical Human Security: A Contested Concept.” The Routledge Handbook of New Security Studies, edited by J. Peter Burgess, Oxford, Routledge, 2010, pp. 39-50. Owen, Taylor. “Measuring Human Security: Methodological Challenges and the Importance of Geographically-Referenced Determinants.” Environmental Change and Human Security: Recognizing and Acting on Hazard Impacts, edited by Peter Liotta, Springer NATO Science Series, 2008, pp. 35-64. Kiernan, Ben, and Taylor Owen. “Making More Enemies than We Kill? Calculating U.S. Bomb Tonnages Dropped on Laos and Cambodia, and Weighing Their Implications.” The Asia Pacific Journal, vol. 13, no. 16, no. 3, 2015, pp. 1-9. Owen, Taylor, and Ben Kiernan. “Roots of U.S. Troubles in Afghanistan: Civilian Bombing Casualties and the Cambodian Precedent.” The Asia Pacific Journal, vol. 8, issue 26, no. 4, 2010, https://apjjf.org/-Taylor-Owen/3380/article.html. Owen, Taylor, and Ben Kiernan. “Bombs over Cambodia: New Light on US Air War.” The Asia Pacific Journal, vol. 5, issue 5, 2007, https://apjjf.org/-Ben-Kiernan/2420/article.pdf. Burgess, Peter J., and Taylor Owen. “Editors’ Note.” Introduction to “Special Section: What is ‘Human Security’?” edited by Peter J. Owen and Taylor Owen, Security Dialogue, vol. 35, no. 3, 2004, pp. 345- 346, http://journals.sagepub.com/doi/pdf/10.1177/0967010604047569. Owen, Taylor. “Challenges and Opportunities for Defining and Measuring Human Security.” Disarmament Forum, no. 3, 2004, pp. 15-24, https://www.peacepalacelibrary.nl/ebooks/files/UNIDIR_pdf-art2138.pdf. Owen, Taylor. “Measuring Human Security: Overcoming the Paradox,” Human Security Bulletin, vol. 2, no. 3, 2003, http://www.taylorowen.com/Articles/2003_Paradox.pdf. Owen, Taylor. “Body Count: Rationale and Methodologies for Measuring Human Security,” Human Security Bulletin, vol. 1, no. 3, 2002, http://www.taylorowen.com/Articles/2002_%20Body%20Count.pdf. Owen, Taylor, and Robert Gorwa. “Quantum Leap: China’s Satellite and the New Arms Race.” Foreign Affairs, 7 Sept. 2016, https://www.foreignaffairs.com/articles/2016-09-07/quantum-leap. Owen, Taylor. “Can Journalism Be Virtual?” Columbia Journalism Review, Fall/Winter 2016, https://www.cjr.org/the_feature/virtual_reality_facebook_second_life.php. Owen, Taylor. “Towards a Whole of Government Digital Strategy.” Policy Magazine, July/August 2016, pp. 6-8, http://www.policymagazine.ca/pdf/20/PolicyMagazineJulyAugust-2016-Owen.pdf. Owen, Taylor. “Coin Toss: Will Blockchain undermine or buttress state power?” The Literary Review of Canada, July 2016, http://reviewcanada.ca/magazine/2016/07/coin-toss/. Owen, Taylor. “The Violence of Algorithms: Why Big Data Is Only as Smart as Those Who Generate It.” Foreign Affairs, 25 May 2015, https://www.foreignaffairs.com/articles/2015-05-25/violence-algorithms. Eaves, David, and Taylor Owen. “Liberal Baggage: The national party’s greatest burden may be its past success.” The Literary Review of Canada, May 2012, https://reviewcanada.ca/magazine/2012/05/liberal-baggage/. Owen, Taylor. “A World Turned Upside Down: To face an age of climate change, Twitter and counterinsurgency, Canada’s foreign policy establishment needs fresh ideas.” The Literary Review of Canada, December 2010, http://reviewcanada.ca/magazine/2010/12/a-world-turned-upside-down/. Eaves, David and Taylor Owen. “Progressivism’s End: In Obama, both Americans and Canadians can see the promise of something new.” The Literary Review of Canada, September 2008, http://reviewcanada.ca/magazine/2008/09/progressivisms-end/. Owen, Taylor, and Emily Paddon. “Rattle and Hum: Hello, Baghdad! A Kurdish singer rocks Iraq.” The Walrus Magazine, 21 Jan. 2009, https://thewalrus.ca/2009-01-music-2/. Owen, Taylor, and Patrick Travers. “3D Vision: Can Canada reconcile its defense, diplomacy and development objectives in Afghanistan?” The Walrus Magazine, 12 Jul. 2007, https://thewalrus.ca/2007-07-foreign-affairs/. Owen, Taylor. “One Step Closer to an Obama-Ignatieff Continent.” The Prospect Magazine, 10 Dec. 2008, https://www.prospectmagazine.co.uk/world/one-step-closer-to-an-obama-ignatieff-continent. Owen, Taylor, and Ben Kiernan. “Bombs Over Cambodia: New information reveals that Cambodia was bombed far more heavily than previously believed.” The Walrus Magazine, 12 Oct. 2006, https://thewalrus.ca/2006-10-history/. Bell, Emily and Taylor Owen, with Peter Brown, Codi Hauka and Nushin Rashidian. The Platform Press: How Silicon Valley Reengineered Journalism. The Tow Center for Digital Journalism, Columbia University, 2017, http://towcenter.org/wp-content/uploads/2017/04/The_Platform_Press_Tow_Report_2017.pdf. The Shattered Mirror: News, Democracy and Trust in the Digital Age. The Public Policy Forum, 2016, https://shatteredmirror.ca/wp-content/uploads/theShatteredMirror.pdf. Aronson-Rath, Raney, Milward, James, Owen, Taylor and Fergus Pitt. Virtual Reality Journalism. The Tow Centre for Digital Journalism, Columbia University, 2015, https://towcenter.gitbooks.io/virtual-reality-journalism/content/. Cooper, Ann and Taylor Owen, editors. The New Global Journalism: Foreign Correspondence in Transition, The Tow Center for Digital Journalism, Columbia University, 2014, http://towcenter.org/wp-content/uploads/2014/09/The-New-Global-Journalism-1.pdf. Owen, Taylor. Media, Technology and Intelligence. The Canadian Security and Intelligence Service (CSIS), 2013. Owen, Taylor. Disruption: Foreign Policy in a Networked World. Pierre Elliott Trudeau Foundation Position Paper, 2012, http://www.trudeaufoundation.ca/sites/default/files/canada_in_the_world–en.pdf. Owen, Taylor, and Alexandre Grigsby. In Transit: Gangs and Criminal Networks in Guyana. A Working Paper of the Small Arms Survey, Geneva, 2012, http://www.smallarmssurvey.org/fileadmin/docs/F-Working-papers/SAS-WP11-Guyana.pdf. Owen, Taylor, and Rudyard Griffiths. The People’s Debates: A Report on Canada’s Televised Election Debates. Aurea Foundation, 2011. Owen, Taylor, and Emily Paddon. The Challenges of Integrated Peacebuilding in Afghanistan. Report for the Canada Department of Foreign Affairs and International Trade, 2009. Owen, Taylor. The Uncertain Future of Human Security in the UN. UNESCO Working Paper, Oxford, Blackwell Publishing, 2008, https://doi.org/10.1111/j.1468-2451.2008.00629. Travers, Patrick, and Taylor Owen. Peacebuilding While Peacemaking: The Merits of a 3D Approach in Afghanistan. UBC Centre for International Relations Security and Defense Forum Working Paper, no. 3, 2007, https://www.academia.edu/148897/Peacebuilding_While_Peacemaking_The_Merits_of_a_3D_Approach_in_Afghanistan. Jackson, Thomas, Marsh, Nicholas, Owen, Taylor and Anne Thurin. Who Takes the Bullet? The Impact of Small Arms Violence. Norwegian Church Aid, 2005, https://www.kirkensnodhjelp.no/contentassets/c1403acd5da84d39a120090004899173/2005/who-takes-the-bullet.pdf. Owen, Taylor, and Aldo Benini. Human Security in Cambodia: A Statistical Analysis of Large-Sample Sub-National Vulnerability Data. The Centre for the Study of Civil War at the International Peace Research Institute, Oslo, 2004, https://www.gichd.org/fileadmin/GICHD-resources/rec-documents/CambodiaOwenBeniniSummaryWithMap040419.pdf. Owen, Taylor, Kathryn Furlong, and Nils Petter Gleditsch. Codebook for the shared river basin GIS and database. The Centre for the Study of Civil War at the International Peace Research Institute, Oslo, 2004, https://files.prio.org/files/projects/Codebook%20for%20The%20Shared%20River%20Basin%20GIS%20and%20Database.pdf. Owen, Taylor. “Data governance in the digital age: How Facebook disrupted democracy.” The Financial Post, 25 May 2018, http://business.financialpost.com/opinion/data-governance-in-the-digital-age-how-facebook-disrupted-democracy. Owen, Taylor. “The era of big tech self-governance has come to an end.” The Globe and Mail, 11 Apr. 2018, https://www.theglobeandmail.com/opinion/article-the-era-of-big-tech-self-governance-has-come-to-an-end/. Owen, Taylor, and Ben Scott. “The new rules for the internet – And why deleting Facebook isn’t enough.” The Globe and Mail, 2 Apr. 2018, https://www.theglobeandmail.com/opinion/article-the-new-rules-for-the-internet-and-why-you-shouldnt-delete-facebook/. Muggah, Robert, and Taylor Owen. “So, the liberal order is in freefall? Not so fast.” The Globe and Mail, 10 Jan. 2018, https://www.theglobeandmail.com/opinion/so-the-liberal-order-is-in-free-fall-not-so-fast/article37566760/. Owen, Taylor. “Is Facebook a threat to democracy?” The Globe and Mail, 19 Oct. 2017, https://www.theglobeandmail.com/opinion/is-facebook-a-threat-to-democracy/article36661905/.Greenspon, Edward and Taylor Owen. “’Fake news 2.0’: A threat to Canada’s democracy.” The Globe and Mail, 28 May 2017, https://www.theglobeandmail.com/opinion/fake-news-20-a-threat-to-canadas-democracy/article35138104/. Ananny, Mike, and Taylor Owen. “Ethics and governance are getting lost in the AI frenzy.” The Globe and Mail, 30 Mar. 2017, https://www.theglobeandmail.com/opinion/ethics-and-governance-are-getting-lost-in-the-ai-frenzy/article34504510/. Owen, Taylor, and Elizabeth Dubois. “It’s time to reform the CBC for the digital age.” The Toronto Star, 1 Feb. 2017, https://www.thestar.com/opinion/commentary/2017/02/01/its-time-to-reform-the-cbc-for-the-digital-age.html. Owen, Taylor. “What can governments learn from digital disruptors.” World Economic Forum, 6 Apr. 2016, https://www.weforum.org/agenda/2016/04/what-can-governments-learn-from-digital-disruptors/. Owen, Taylor. “Why governments must embrace the new global digital reality.” The Globe and Mail, 10 Apr. 2015, https://www.theglobeandmail.com/opinion/columnists/why-governments-must-embrace-the-new-global-digital-reality/article23876924/. Owen, Taylor. “Why the U.S. should but won’t partner with hactivists Anonymous.” San Francisco Chronicle, 1 May 2015, https://www.sfgate.com/news/article/Why-the-U-S-should-but-won-t-partner-with-6235020.php. Owen, Taylor. “The promise and peril of digital diplomacy.” The Globe and Mail, 9 Jan. 2015., https://www.theglobeandmail.com/opinion/the-promise-and-peril-of-digital-diplomacy/article22375462/. Owen, Taylor. “Bitcoin is dead— Long live bitcoin.” Vice News, 23 Mar. 2014, https://news.vice.com/article/bitcoin-is-dead-long-live-bitcoin. Muggah, Robert, and Taylor Owen. “Decline in Canadian think tanks couldn’t come at a worse time.” The Toronto Star, 9 Oct. 2013, https://www.thestar.com/opinion/commentary/2013/10/09/decline_in_canadian_think_tanks_couldnt_come_at_worse_time.html. Owen, Taylor. “Drones don’t just kill. Their psychological effects are creating enemies.” The Globe and Mail, 13 Mar. 2013, https://www.theglobeandmail.com/opinion/drones-dont-just-kill-their-psychological-effects-are-creating-enemies/article9707992/. Muggah, Robert, and Taylor Owen. “With think tanks on the ropes, Canada is losing its bark and bite.” The Globe and Mail, 10 Oct. 2013, https://www.theglobeandmail.com/opinion/with-think-tanks-on-the-ropes-canada-is-losing-its-bark-and-bite/article14795496/. Griffiths, Rudyard, and Taylor Owen. “Let a commission, not broadcasters, call the shots.” The Globe and Mail, 1 Apr. 2011, https://www.theglobeandmail.com/opinion/let-a-commission-not-broadcasters-call-the-shots/article574867/. Owen, Taylor. “Afghan army: If you build it, who will come?” The Globe and Mail, 6 Sept. 2011, https://www.theglobeandmail.com/opinion/afghan-army-if-you-build-it-who-will-come/article627066/. Owen, Taylor. “Why Wikileaks will lead to more secrecy, not less.” Maclean’s Magazine, 29 Nov. 2010, https://www.macleans.ca/general/why-wikileaks-will-lead-to-more-secrecy-not-less/. Owen, Taylor. “Review: The Canadian Century: Moving out of America’s shadow, by Brian Lee Crowley.” The Globe and Mail, 10 Aug. 2010, https://www.theglobeandmail.com/arts/books-and-media/review-the-canadian-century-moving-out-of-americas-shadow-by-brian-lee-crowley/article4324559/. Owen, Taylor. “Five reasons British coalition is not a harbinger for Canada.” The Globe and Mail, 14 May 2010, https://www.theglobeandmail.com/news/politics/five-reasons-british-coalition-is-not-a-harbinger-for-canada/article4319053/. Griffiths, Rudyard, and Taylor Owen. “Learning from Britain’s three great debates.” The National Post, 1 May 2010, http://nationalpost.com/opinion/rudyard-griffiths-and-taylor-owen-learning-from-britains-three-great-debates. Eaves, David, and Taylor Owen. “How about real Liberal renewal?” The Toronto Star, 20 Nov. 2008, https://www.thestar.com/opinion/2008/11/20/how_about_real_liberal_renewal.html. Travers, Patrick, and Taylor Owen. “2011 is a date, not a goal.” The Toronto Star, 5 Apr. 2008, https://www.thestar.com/opinion/2008/04/05/2011_is_a_date_not_a_goal.html. Eaves, David, and Taylor Owen. “Failed strategy connects Afghan fields, city streets.” The Toronto Star, 7 Dec. 2007, https://www.thestar.com/opinion/2007/12/07/failed_strategy_connects_afghan_fields_city_streets.html. Eaves, David, and Taylor Owen. “Kandahar deal breakers: The Afghan poll is not a blank cheque.” The Globe and Mail, 2 Nov. 2007, https://eaves.ca/2007/11/02/kandahar-deal-breakers-op-ed-in-globe-and-mail/. Eaves, David, and Taylor Owen. “Africa is not a Liberal idea.” Embassy Magazine, October 3, 2007. Eaves, David, and Taylor Owen. “Iraq suddenly appears on Canada’s radar screen.” Toronto Star, 29 Aug. 2007, https://www.thestar.com/opinion/editorialopinion/2007/08/29/iraq_suddenly_appears_on_canadas_radar_screen.html. Eaves, David, and Taylor Owen. “Blogosphere at age 10 is improving journalism.” The Toronto Star, 30 Jul. 2007, https://www.thestar.com/opinion/2007/07/30/blogosphere_at_age_10_is_improving_journalism.html. Eaves, David, and Taylor Owen. “Getting back on track in Afghanistan.” The Toronto Star, 23 Feb. 2007, https://www.thestar.com/opinion/2007/02/23/getting_back_on_track.html. Eaves, David, and Taylor Owen. “Beyond Vimy Ridge: Canada’s other foreign-policy pillar.” The Globe and Mail, 18 Apr. 2007, https://www.theglobeandmail.com/news/national/beyond-vimy-ridge-canadas-other-foreign-policy-pillar/article1073930/.